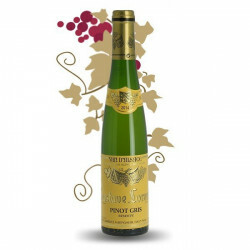 Gustave Lorentz great range of Alsace Wines, Since 1836, the grape harvest from exceptional terroirs has been expressing the unique character of its wines from vintage to vintage: Riesling, Gewurztraminer, Pinot Noir, Pinot Gris ... The estate nowadays covers 33 hectares, half of which are classified Altenberg Grand Cru of Bergheim and Kanzlerberg. The vineyard is in conversion to organic farming. A beautiful multi-purpose house that offers beautiful late harvest and selection of noble grains.